Over the past couple of years wired earbuds have declined in popularity. First there was the rise of wireless headphones, offering people immersive sound without a cumbersome wire, with most companies moving towards truly wireless earbuds. With things like AirPods and Galaxy Buds offering great portability without a wire, it makes sense. However, regardless of how convenient these products are, it takes a lot to beat a good pair of wired headphones. With an exotic design, plenty of tech, a fancy cord and more, are the FiiO FH5 good enough to return to a cord or are there better solutions out there? 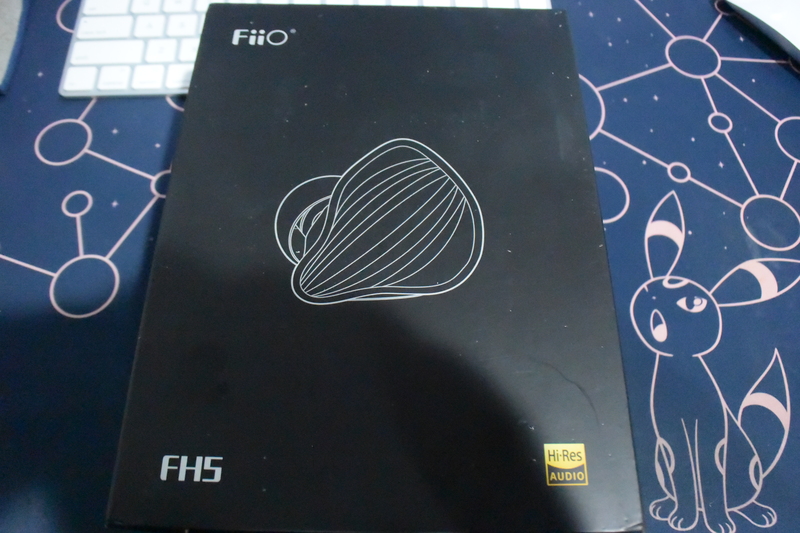 Out of the three FiiO products I had the pleasure of reviewing, their FH5 headphones had the best presentation. 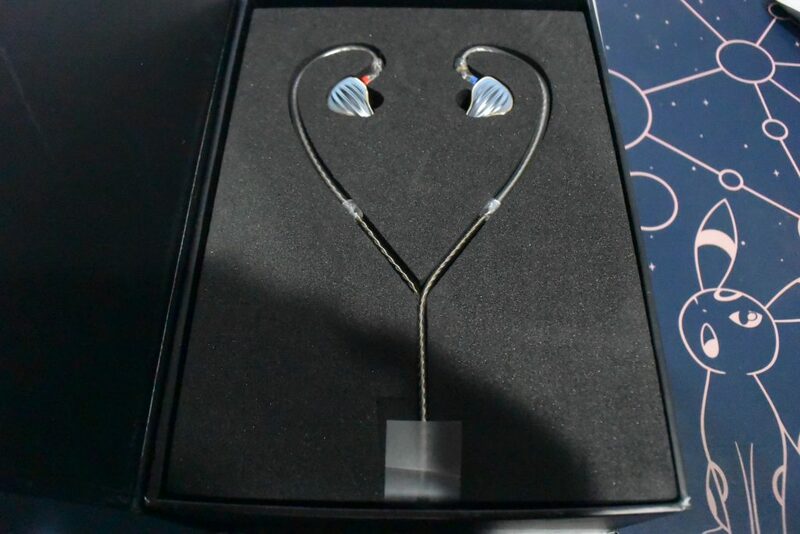 Below the slipcover was a nice box that presented the earbuds in a heart shape, with a case underneath. 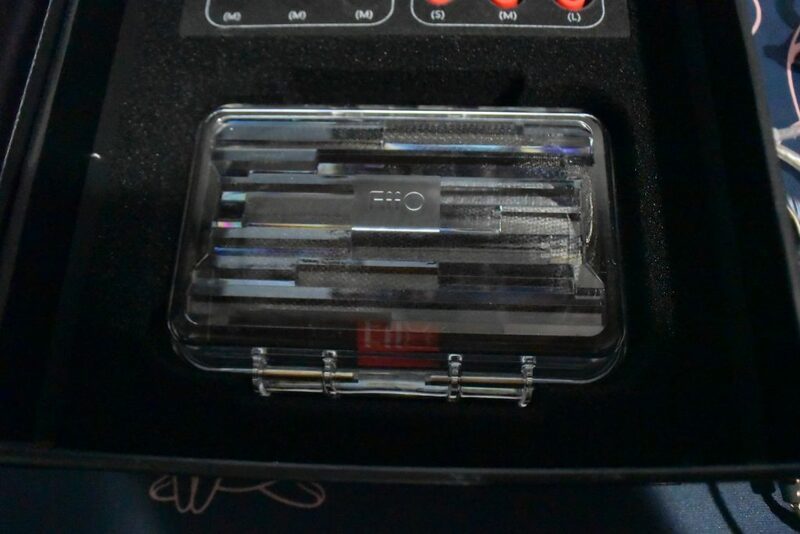 Inside the case is a small bag, giving you the option to use one or both of these to transport the headphones. 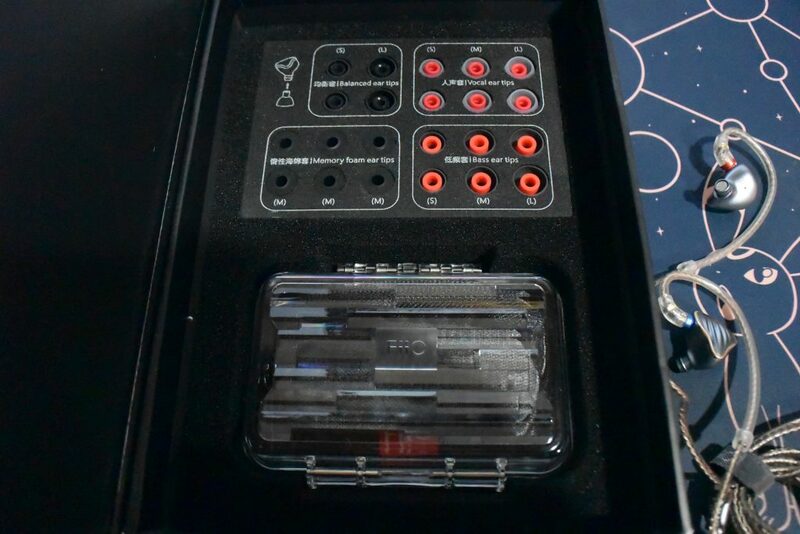 Above the case is a variety of ear tips, making it easy to keep track of them, know what they supposedly do and achieve the experience you’re looking for. Four different types of tips are included, with two coming in three different sizes and the remaining two being in one and two respectively. The included tips offer a balanced, vocals, bass and memory foam, giving users a fair amount of control over how they listen to things. 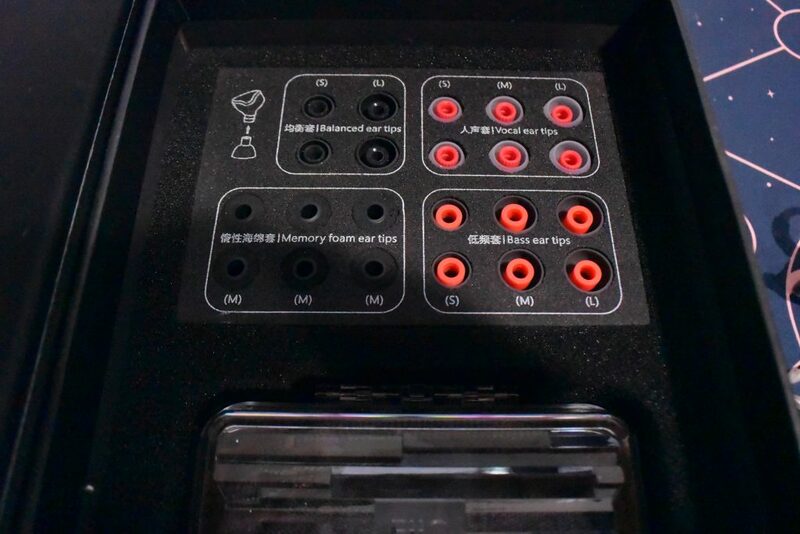 Having tested them all, there is a difference between how things sound, though the average user will likely not feel the need to constantly swap them out. If you do plan on doing that though, the included holder doubles as a way to easily apply the tip. With the tips on, FH5 feels extremely well crafted. Touching the metal gives a slick cool feeling, with the raised parts feeling smooth to the touch. Even the cord feels sturdy, with the actual connection feeling like a product you’d be hard pressed to break. 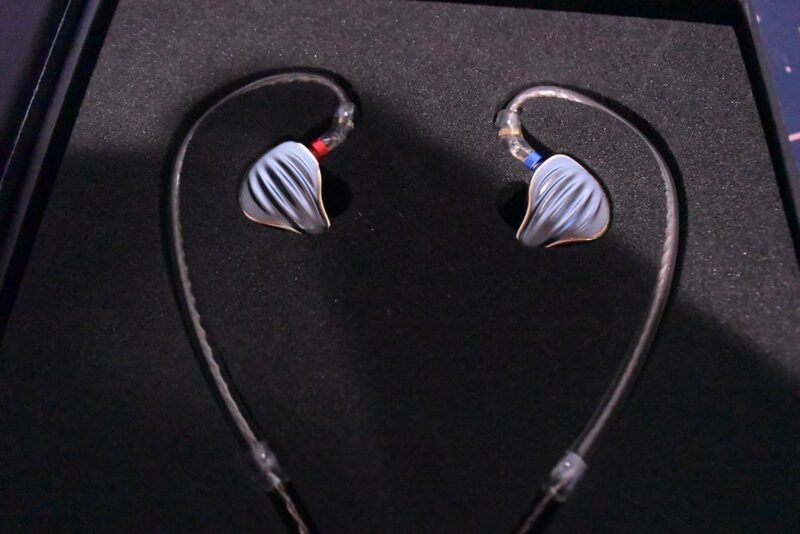 When putting them on, the headphones loop around your ear offering a secure connection. I had no issues doing my daily tasks with them on and having them fall out or even move around. However, after a couple hours there was some minor fatigue. The biggest difference between FH5 and lesser earbuds is how sound is presented and separated. A lot of the earbuds I had laying around were flat, with FH5 being giving each sound the stage it needs. Even when compared to some of the lower end headphones I had, such as Surge 3D or Trustmaster’s offerings, they offered a more immersive experience. In fact, I enjoyed them so much I found myself using them over a gaming headset. Outside of missing a microphone, they had enough of a sound stage to get immersed in whatever world I was in, be it Destiny or just The Princess Guide. If nothing else, the ability to play without having something large and bulky on my head for offline or situations where I don’t need to talk is a massive plus. Despite being wired buds, these can be made wireless through the BTR3 or another Bluetooth receiver that supports 3.5 mm. A good portion of my time testing the BTR3 was with these earbuds and I genuinely found the sound to be about the same between using BTR3 and Bluetooth and a direct connection. Not only does this allow quality ‘wireless’ listening, it also helps eliminate one of the most common problems with truly wireless headphones, low battery life. FH5 is far more than a nice looking pair of headphones. Not only did the sound beat a lot of the headphones I had laying around, they make a fantastic alternative to a bulky headset. Sure, they don’t have wireless and replacing the cord might be tricky but it’s a small price to pay for a nice pair of headphones. And, if that is a deal breaker, look into getting a BTR3 and getting the best of both worlds.